What are people willing to do for five dollars? Apparently there is a host of individuals willing to do quality services for the price of $5. Now that is great deal. If you plan your purchase right, it could even end up being the best five dollars you’ve ever spent. If you go to fiverr.com you might be overwhelmed at what your five bucks can buy so here is a compilation of some of the coolest services offered on Fiverr. Few can dispute the power of cool visuals. For five dollars you can have someone take in the elements of your business, mash it up with some groovy song, insert some out-of-this-world graphics and maybe some text and presto! You have a working video for whatever promotional purpose it may serve. Since the “Extra Extra Read All About It” days of yore have died out, businesses are looking for clever ways to get news about their company out and about. Truth is, one of the best ways to get noticed is to have someone write a glowing report about you and post it where everyone can see it. In today’s case, it’s on the biggest search engine in the world. For five dollars, you can get someone to write nicely about you and post it around too. Making the rounds on the virtual world are E-books on all topics from fishpond designs to curing acne in 3 days. A book can only sell well if it is written properly and if written by a credible author. But let us not fool ourselves. Sometimes there are cases when a book does get judged by its cover. It only follows that a professional looking cover could be the answer to great sales. For five bucks, you can have someone create that cover for your e-book. In a world where image reigns supreme, it is important to always look your best. How ironic is that rule to be followed in a virtual setting where we are hidden behind user names and avatars? The only answer is to keep our best-looking foot forward even in generic sites like YouTube and Twitter. How do you do that? By customizing the backgrounds of the sites to tailor fit your personality or brand. That is where Fiverr comes in. for only five bucks you can get someone to personalize the look and theme of your website so that it represents you or your business. The public loves a good video. Once you have a video you might also need someone with the connections and the ability to keep your company’s video in the loop and in the eyes of the users for as much time as possible. For five dollars, you can have your video uploaded to the top internet sites. How cool is that? This can be one of the best deals you can get on the Fiverr website. 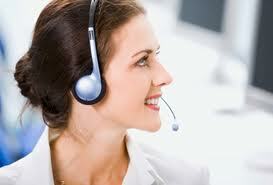 Transcription services are usually pricy and rare. Now you can have someone take your webinar or interview or whatever it is you need written out and they will transcribe it for only five dollars. You cannot expect a whole hour’s worth of your presentations transcribed though. It still is a lot of work so expect 15 minutes at most from this service, which is still a pretty good deal. There you have it. Six ways you can use the power of Fiverr for your business needs. Some things that you should remember though are to always check the client feedback on a certain service offered. You want to make sure that you are getting every cent of your money’s worth. You don’t want to spend on the wrong person who delivers substandard results.